How are you on this beautiful day? We have sunshine today but looks like a cold spell is headed for us soon! I survived all the Christmas company and managed to get a little sewing in. While grandma was here she taught me a new trick - crochet - mom says I've officially crossed to the dark side! We will see how long I stick with it....I do like my wool and quilting!! We've got some fun things to share with you all so here we go! 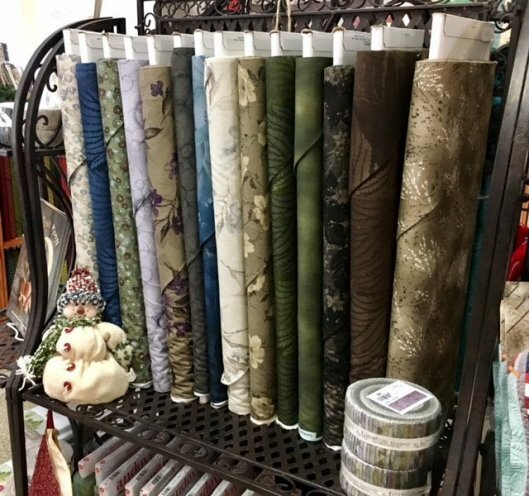 Our little sewing elves have been busy! 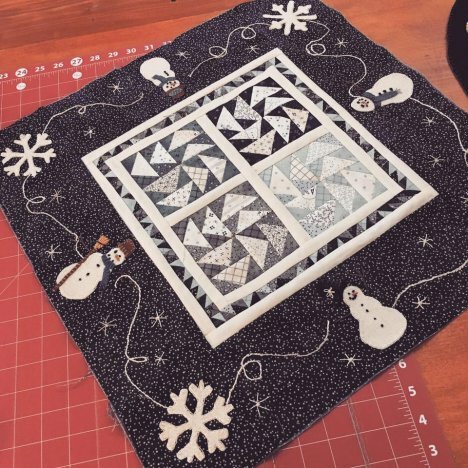 Check out this gorgeous table topper called Winter-ific! How fun is this! 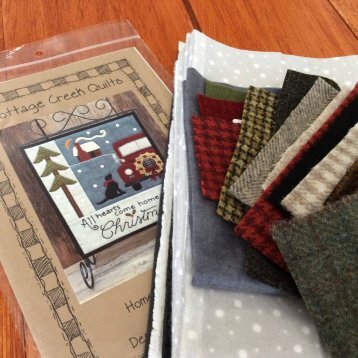 If you saw the Home For Christmas Kit on our facebook page - we have sold out of it BUT we are in the process of getting it back in stock! If you are interested in one please give us a call 308*344*9389 or email juststichin2014@gmail.com - we would love to add you to the list of those who would like a kit or pattern! 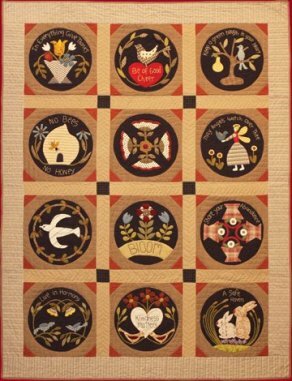 Starting February 1st we will be offering a NEW Block of the Month program - Garden Whimsy by Timeless Traditions; Norma Whaley. We will be doing this as wool applique on cotton. More details will be rolling out next week! Don't forget to follow us on Facebook & Instagram. Shop online 24 hours a day at www.sewblessed.us. In store pick-up is available! I think our Christmas was a success! 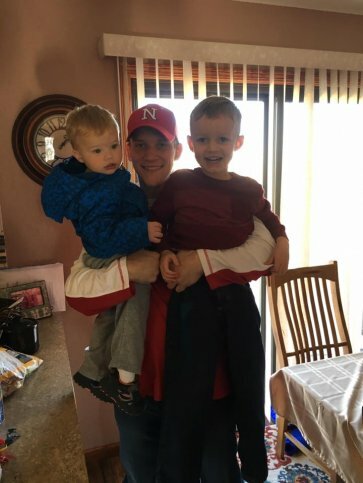 The boys loved having Uncle AJ home to wrestle and play! Grayson got his BIG blue monster truck he asked for from Santa and Colton got a BIG monster truck too! We wish you all a Happy NEW YEAR! Enjoy your weekend and I'll be seeing you in 2017!